Score major points with Seth's far-from-fearsome tiger that puts out his paw out for a celebratory high five! 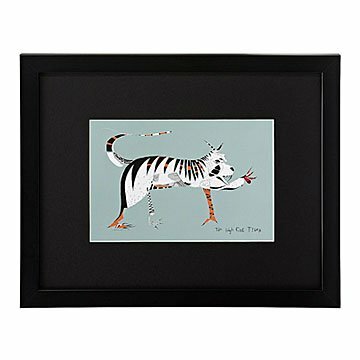 Let this striped beast add some ferocious character to playrooms, nurseries, and hallways, or introduce him to Seth Anderson's other, quirky creatures to create a personalized sanctuary. This art is so interesting with all the different patterms and of course the subject of animals is always a winner with me.